Call our toll free customer service 800 891 2990 anytime! 1. Is the service really only $29.95 per month for Individual Plans? YES, there are absolutely no sign-up or registration fees . . . never any hidden fees and no contracts. All features are included in all of our plans - never any extra fees. We are simply the MOST economical, full-featured way to dominate your market. TOLL FREE USAGE IS FREE -- ZERO PER MINUTE CHARGES! 2. Do we send you Text Message notifications? YES, at your request, we will send you an immediate text message notification with the caller's name and telephone number every time a call is received on your personal Real Estate Hotline. We also instantly notify you by telephone and email when messages are waiting for you. Get them while they're hot, this is a constant source of leads for you, and it's all included . . . . . . never any extra fees for any of our features! 3. 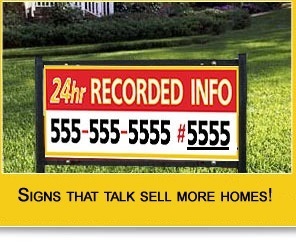 Can the service be used by non-real estate businesses to provide recorded information to callers and obtain caller ID? YES, we have many non-real estate business clients who use HotlineAmerica to interact with customers, promote their products and services, obtain caller ID info, and develop sales leads. This is the best way to provide a no-pressure environment to motivate customers to call about your products and services. After hearing your recorded information, callers can choose to speak with you immediately, leave you a message, or receive a fax with additional information. 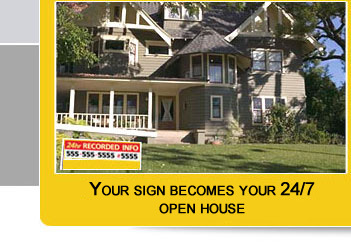 We report to you immediately the caller ID, and you generate a constant source of sale leads. 4. Do I get an exclusive toll free phone number for my personal use? YES, every one of our clients receives their own personalized toll free number included. You can record your own personalized greeting for callers . . . it is your exclusive toll free phone number. 5. Can new realtors in the office use the Office Plan without additional fees? YES, there is absolutely no charge for UNLIMITED REALTORS to use our Office Plans. Our Office Plans will accommodate an unlimited amount of realtors at the same cost – never any additional fees! Your office is always in complete control. 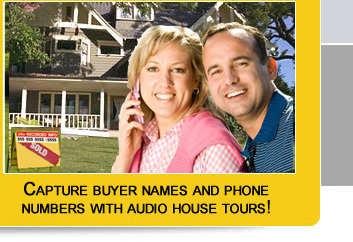 Your office administrator can assign specific voice box extensions to individual realtors. You can also assign a separate passcode to each realtor. IMPORTANTLY, each realtor can manage their own voice boxes and individually receive forwarded calls, messages, email and text notifications, activity reports, etc. Your office administrator has master access to all voice box extensions and receives daily summary reports of all activity - everything is included! 6. Is Hotline America easy to use? YES, we are very user-friendly. You can control every function either online (HotlineAmerica.com) or by calling your toll free number . . . whether in your office or on the road, you can control your Real Estate Hotline. Also, if you don’t want to record in your own voice, you can use our text-to-speech voices – simply type your message and house audio tours, and our automated voices will speak for you – its always your option! 7. Can I use my existing toll free number with Hotline America? YES, if you currently own a toll free number, you may Click Here to Contact Us to utilize your own toll free number with HotlineAmerica. 8. Do we honor your privacy? YES, we respect your privacy. We will never sell your name or your contact information, and we guard our client information with state-of-the-art security. We are a Certified Secure site. 9. Can I change my plan to increase or decrease the number of property voice boxes? YES, you may Click Here to change your plan anytime (you will keep your same toll free number). 10. Can I cancel my service? YES, you may Click Here to cancel anytime. 11. Do we have bigger plans available for larger Real Estate offices and multi-office franchises? YES, Click Here to Contact Us to inquire about larger volume discount plans. ANY OTHER QUESTIONS? Call our toll free customer service 800 891 2990 anytime!